How is Gum Diseases associated with Diabetes? Over time, diabetes has become a chronic as well as common health-affecting condition. It accompanies a number of unexpected complications, of which the gum disease is the most prevalent disorder. The oral manifestations of diabetes are the one which onsets first and are mainly observed by the expert professionals. Other complications of diabetes include stroke, kidney or heart disease. Is Gum diseases and Diabetes a two-way relationship? Researches suggest a two-way relationship between diabetes and gum diseases. Diabetic patients are seen to suffer from the severe gum disorder. On the other hand, in individuals with untreated gum disease, the blood-glucose level is adversely affected, thereby enhancing diabetic issues. Studies indicate that individuals affected with diabetes are more prone to various oral problems such as gingivitis and periodontitis, owing to the fact that they have very less ability to fight against gum disease causing bacteria. How can dental problems related with diabetes be prevented? Controlling blood-glucose level in the body is the foremost step towards dental problem prevention. Apart from preventing gum disease, it also restricts the dry mouth condition. Regular visits to dental clinic is essential along with taking proper care of gums and teeth. Smoking and drinking habits should be completely avoided to minimize the risk of oral problems such as thrush. What can be expected from during check-up? Is it really important to tell the dental expert about diabetic condition? As per an individual’s need and requirement, various treatment options are available. Full co-operation from the patient side is an important aspect of treatment. 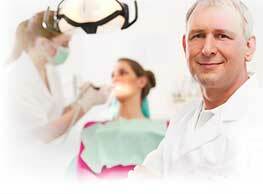 It is essential to share every medical details with your dentist to avail proper treatment. If the blood-sugar is not under control, then the dentist may postpone any non-emergency dental procedures or surgeries.